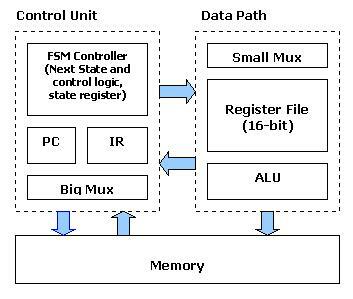 <> HDL (Hardware Description Language) based design has established itself as the modern approach to design of digital systems, with VHDL (VHSIC Hardware Description Language) and Verilog HDL being the two dominant HDLs. 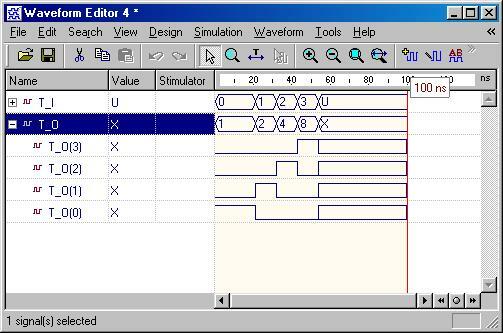 Numerous universities thus introduce their students to VHDL (or Verilog). 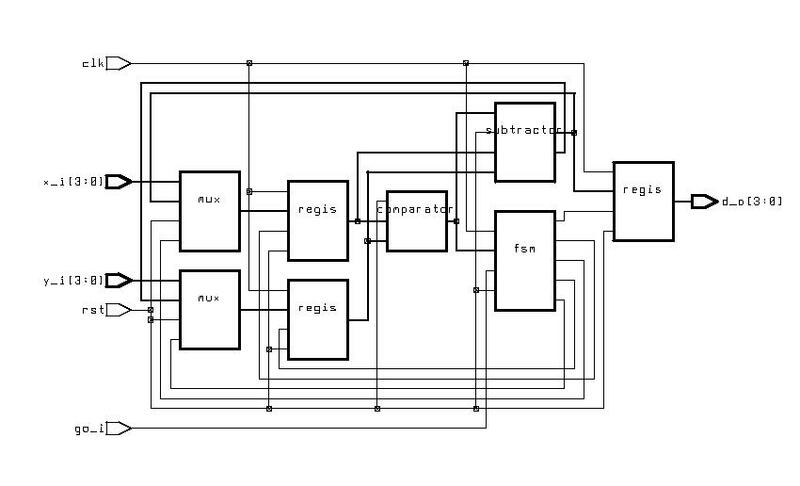 The problem is that VHDL is complex due to its generality. Introducing students to the language first, and then showing them how to design digital systems with the language, tends to confuse students. The language issues tend to distract them from the understanding of digital components. And the synthesis subset issues of the language add to the confusion. 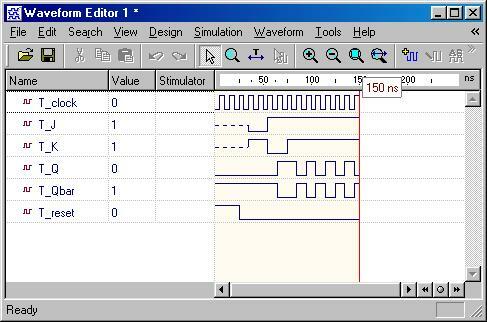 We developed the following tutorial based on the philosophy that the beginning student need not understand the details of VHDL -- instead, they should be able to modify examples to build the desired basic circuits. Thus, they learn the importance of HDL-based digital design, without having to learn the complexities of HDLs. Those complexities can be reserved for a second, more advanced course. 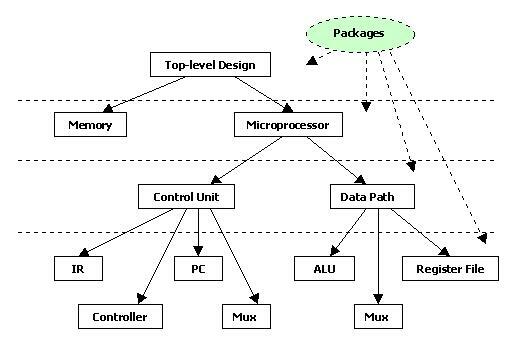 The examples are mostly from the textbook Embedded System Design by Frank Vahid and Tony Givargis. 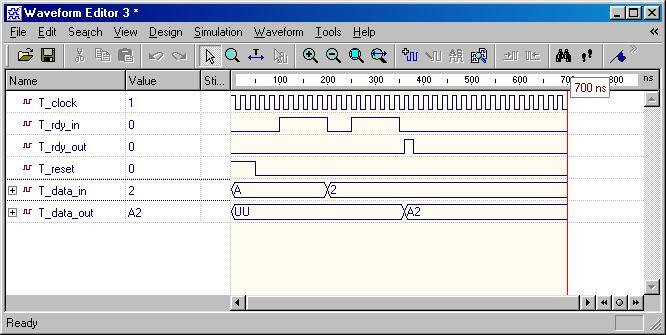 They start from basic gates and work their way up to a simple microprocessor. 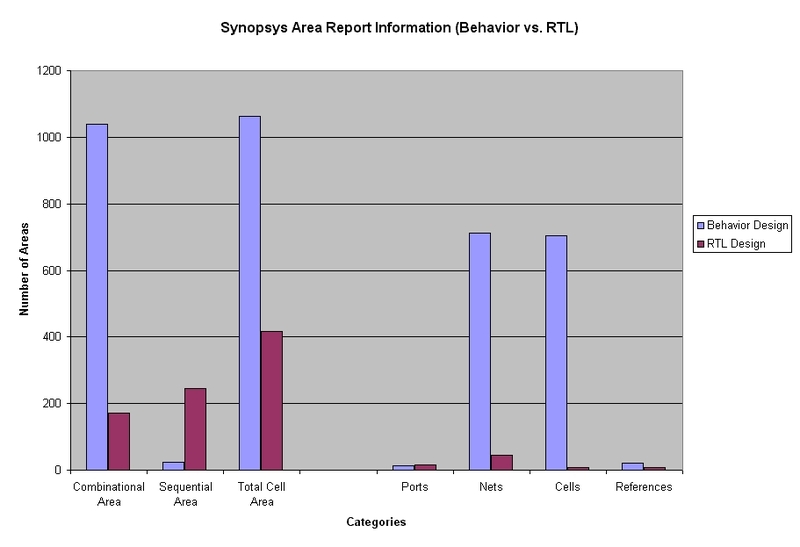 Most of the examples have been simulated by Aldec ActiveHDL Simulator and Synopsys Design Analyzer, as well as synthesized with Synopsys Design Compiler . 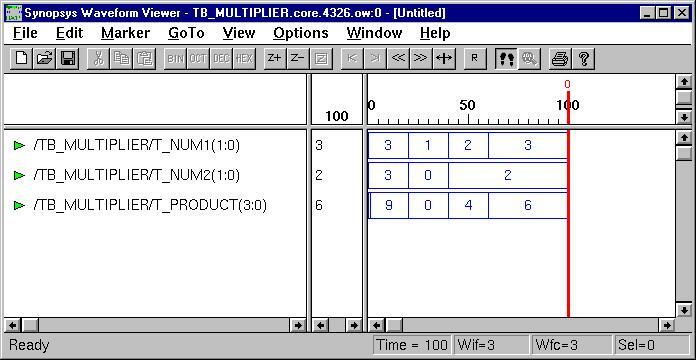 Several sequential design examples have been successfully tested on Xilinx Foundation Software and FPGA/CPLD board. 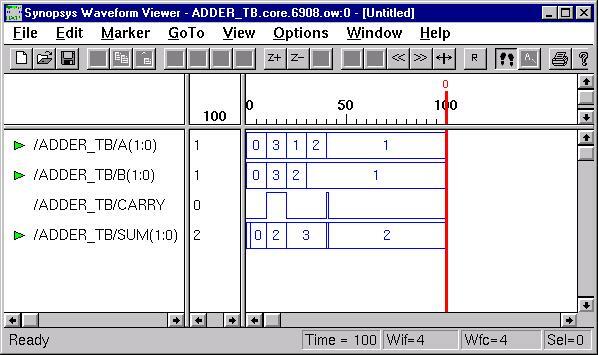 Every VHDL design description consists of at least one entity / architecture pair, or one entity with multiple architectures. 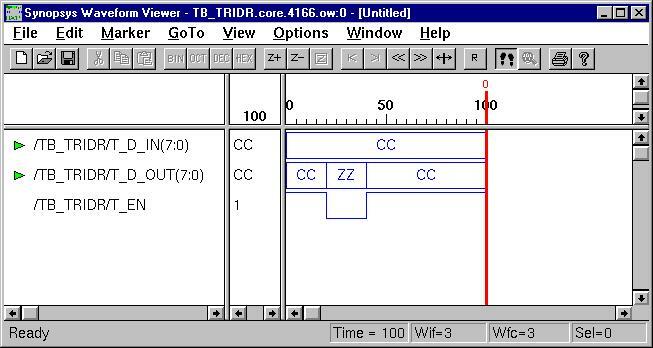 The entity section of the HDL design is used to declare the I/O ports of the circuit, while the description code resides within architecture portion. Standardized design libraries are typically used and are included prior to the entity declaration. This is accomplished by including the code "library ieee;" and "use ieee.std_logic_1164.all;". We use port map statement to achieve the structural model (components instantiations). 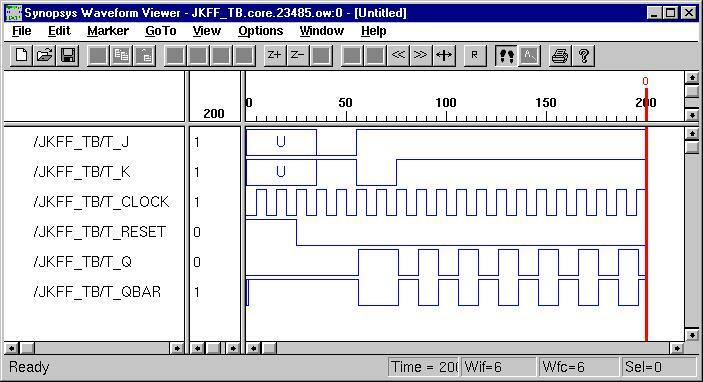 The following example shows how to write the program to incorporate multiple components in the design of a more complex circuit. 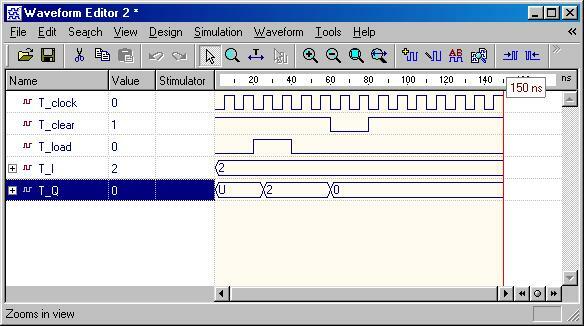 In order to simulate the design, a simple test bench code must be written to apply a sequence of inputs (Stimulators) to the circuit being tested (UUT). 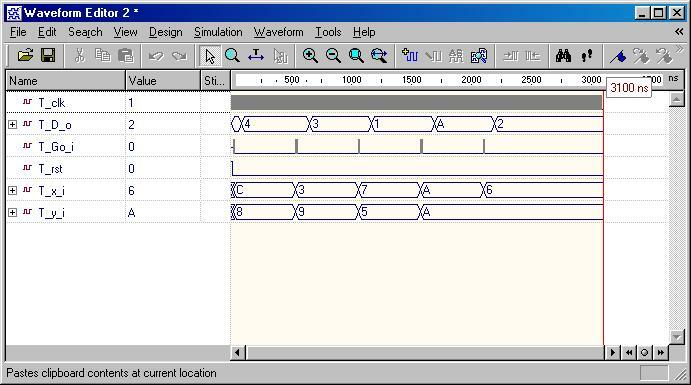 The output of the test bench and UUT interaction can be observed in the simulation waveform window. 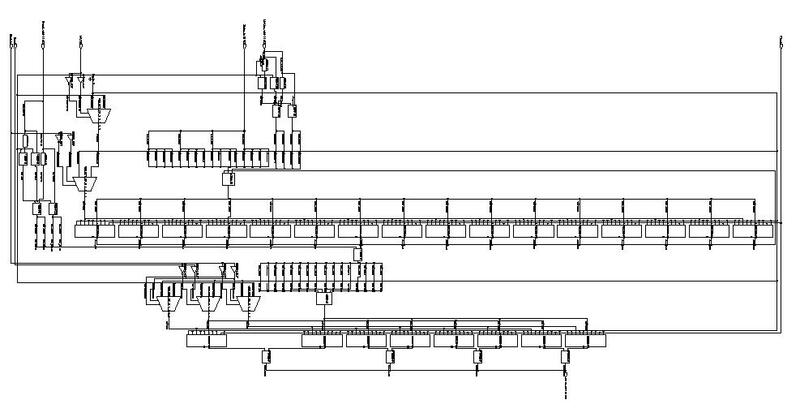 The following behavior style codes demonstrate the concurrent and sequential capabilities of VHDL. The concurrent statements are written within the body of an architecture. They include concurrent signal assignment, concurrent process and component instantiations (port map statement). Sequential statements are written within a process statement, function or procedure. Sequential statement include case statement, if-then-else statement and loop statement. 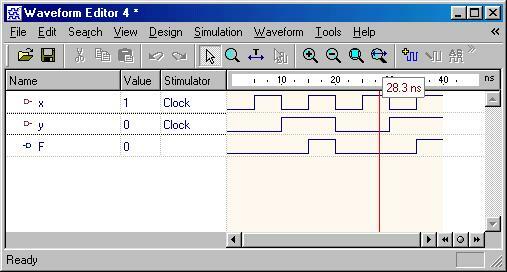 Besides from the circuit input and output signals, there are normally two other important signals, reset and clock, in the sequential circuit. 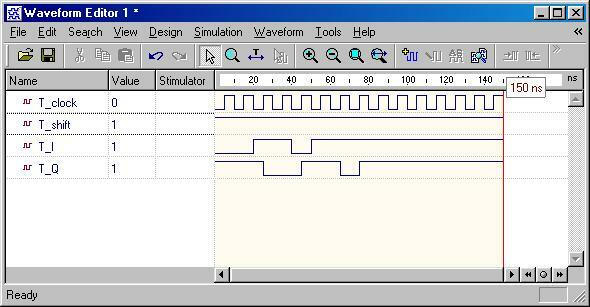 The reset signal is either active-high or active-low status and the circuit status transition can occur at either clock rising-edge or falling-edge. 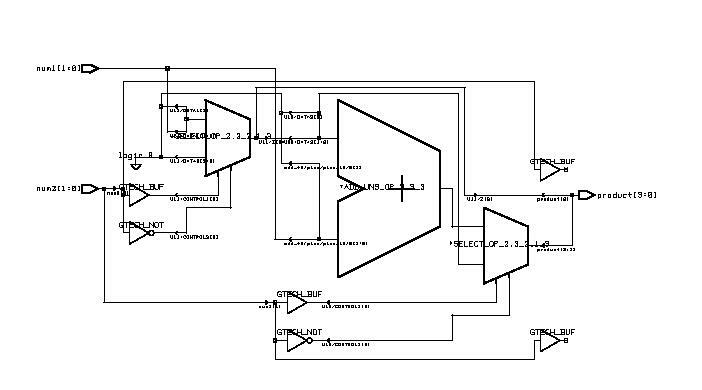 Flip-Flop is a basic component of the sequential circuits. 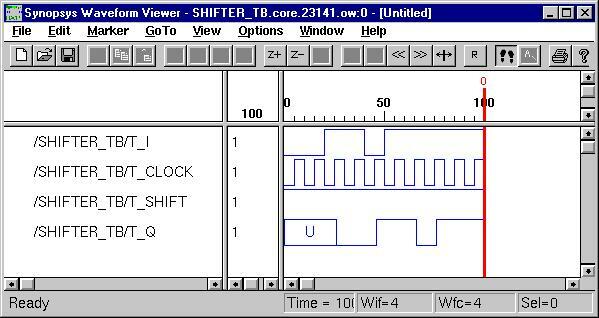 Typical sequential components consist of registers, shifters and counters. The concept of generics is often used to parameterize these components. Parameterized components make it possible to construct standardized libraries of shared models. 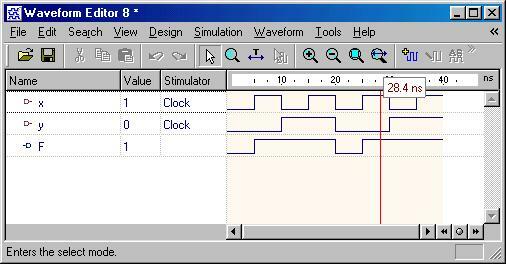 In the behavioral description, the output transitions are generally set at the clock rising-edge. 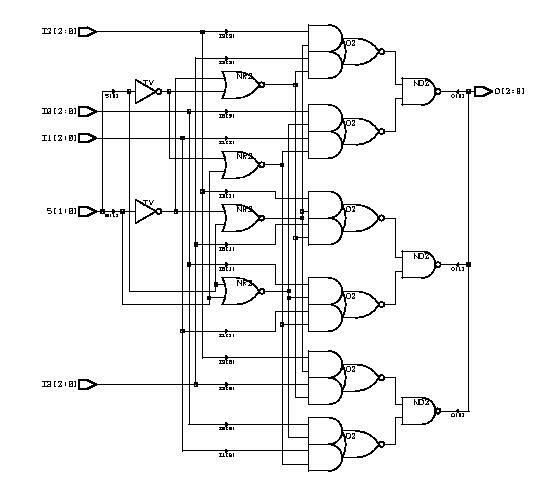 This is accomplished with the combination of the VHDL conditional statements (clock'event and clock='1'). 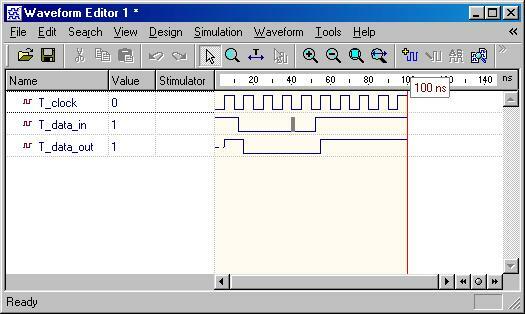 During the testbench running, the expected output of the circuit is compared with the results of simulation to verify the circuit design. The most important description model presented here may be the Finite State Machine (FSM). 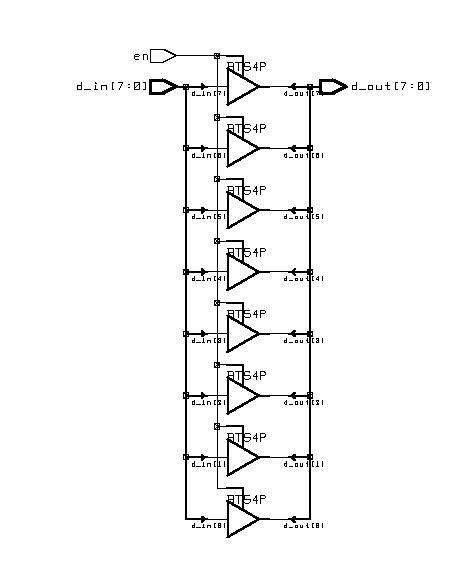 A general model of a FSM consists of both the combinational Logic and sequential components such as state registers, which record the states of circuit and are updated synchronously on the rising edge of the clock signal. 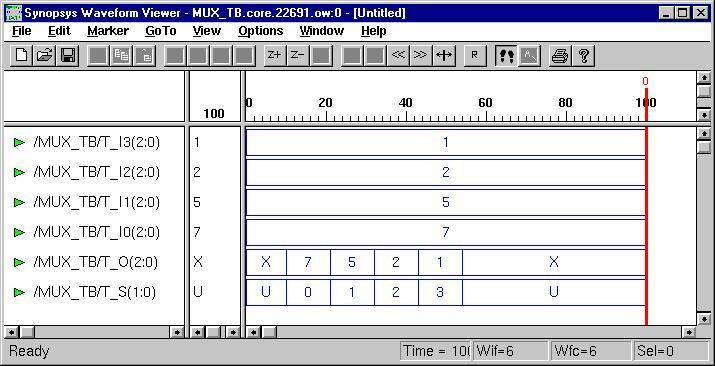 The output function computes the various outputs according to different states. 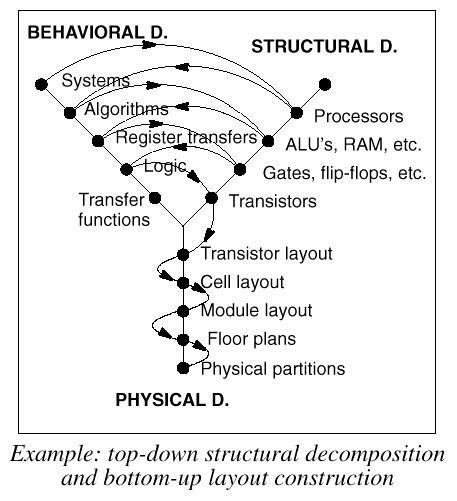 Another type of sequential model is the memory module, which usually takes a long time to be synthesized due to the number of design cells. RTL stands for Register-Transfer Level. It is an essential part of top-down digital design process. 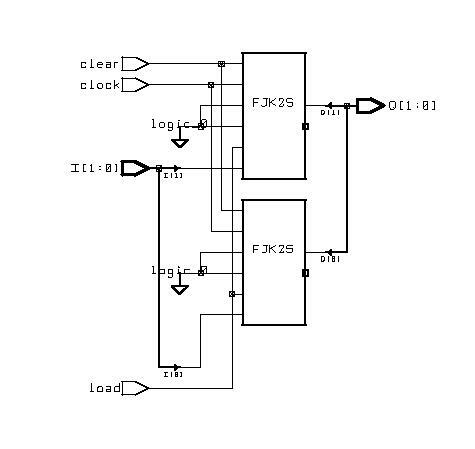 Logic synthesis offers an automated route from an RTL design to a Gate-Level design. 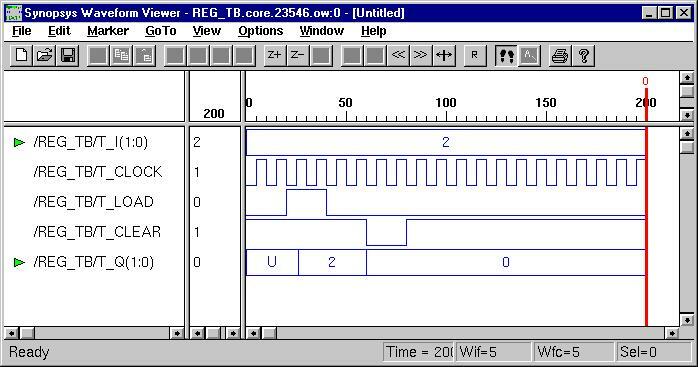 In RTL design a circuit is described as a set of registers and a set of transfer functions describing the flow of data between the registers, (ie. 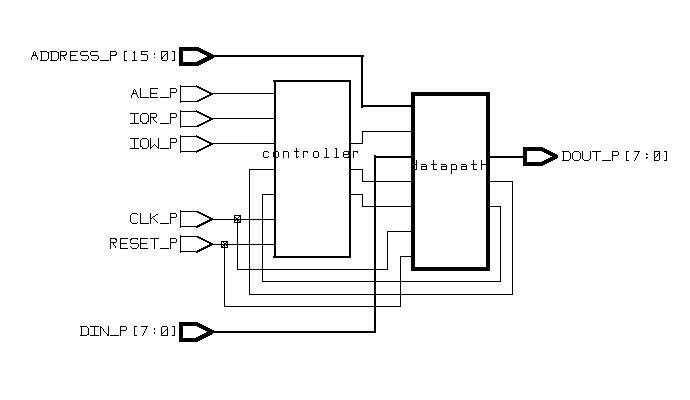 FSM + Datapath). 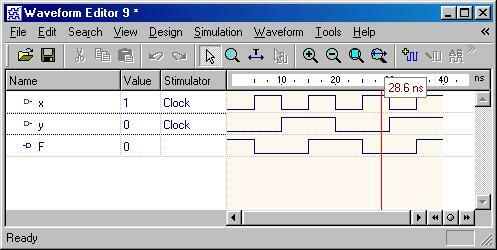 As an important part of a complex design, this division is the main objective of the hardware designer using synthesis. 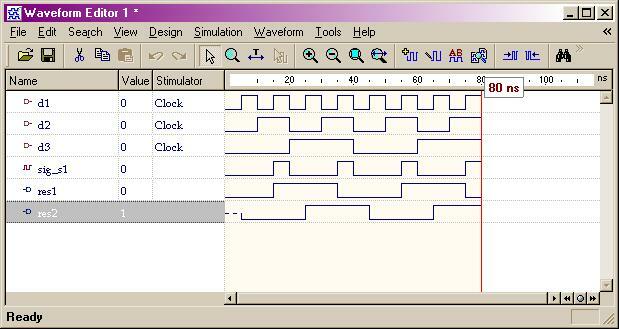 The Synopsys Synthesis Example illustrates that the RTL synthesis is more efficient than the behavior synthesis, although the simulation of previous one requires a few clock cycles. Following section illustrates the RTL (FSM+Datapath) method further using several design examples. 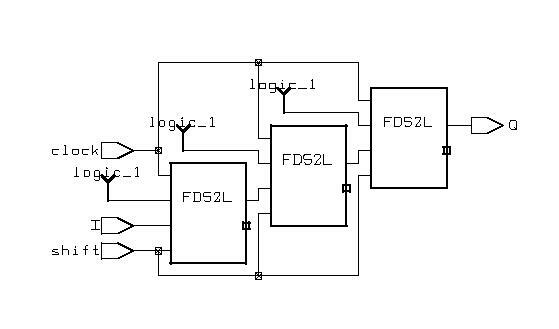 The first three examples illustrate the difference between RTL FSMD model (Finite State Machine with Datapath buildin) and RTL FSM + DataPath model. 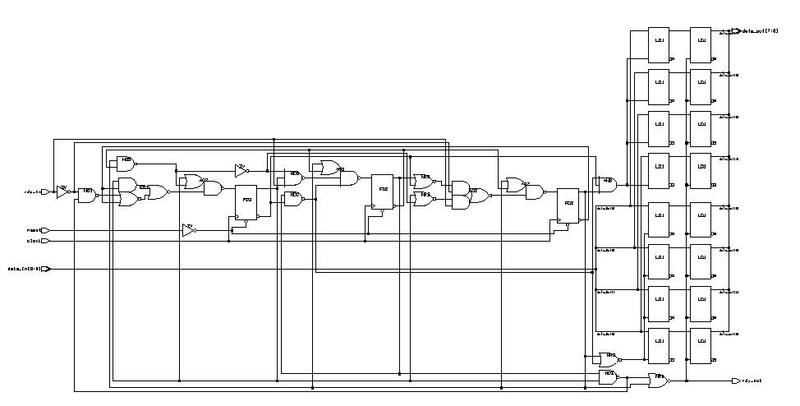 From view of RT level design, each digital design consists of a Control Unit (FSM) and a Datapath. The datapath consists of storage units such as registers and memories, and combinational units such as ALUs, adders, multipliers, shifters, and comparators. The datapath takes the operands from storage units, performs the computation in the combinatorial units, and returns the results to the storage units during each state. This process typically takes one or two clock cycles. Data-flow (looks more like an Algorithm) modeling is presented in the fourth example. 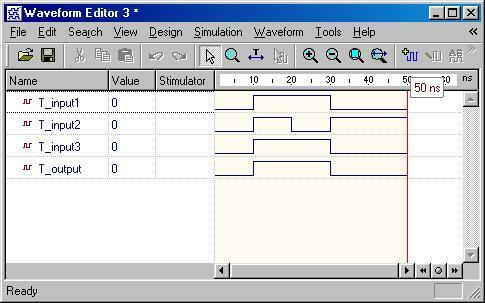 The FIR digital filter algorithm is simulated and synthesized using VHDL. A comparison of the coding styles between the RTL modeling and Algorithm level modeling highlights the different techniques. 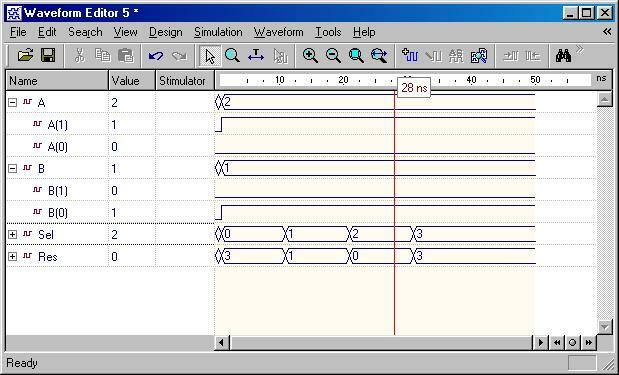 Synopsys tools can be used to perform Power Analysis for all the VHDL designs. Generally, the better design has smaller power consumption. On the other hand, improve the power always means sacrificing other design metrics such as performance, area size or NRE cost. Therefore, a designer need to balance these metrics to find the best implementation for the given application and constraints. 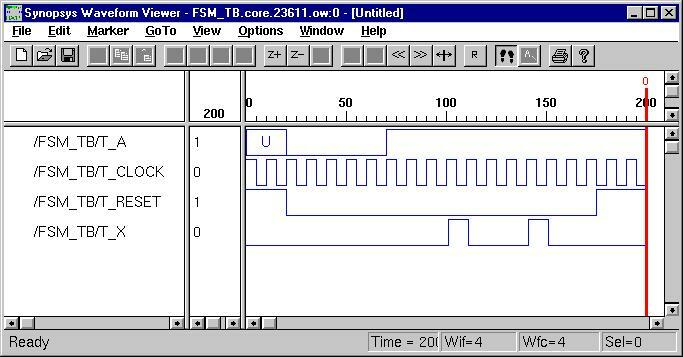 Please check out the power analysis results of Adder, Counter, ISA controller, Bridge controller and FIR Filter. 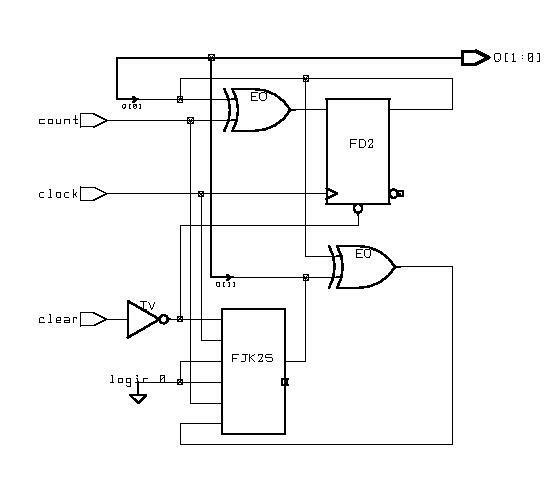 As we expected, FIR digital filter has the biggest power consumption because it has a more complex circuit doing DSP computation. 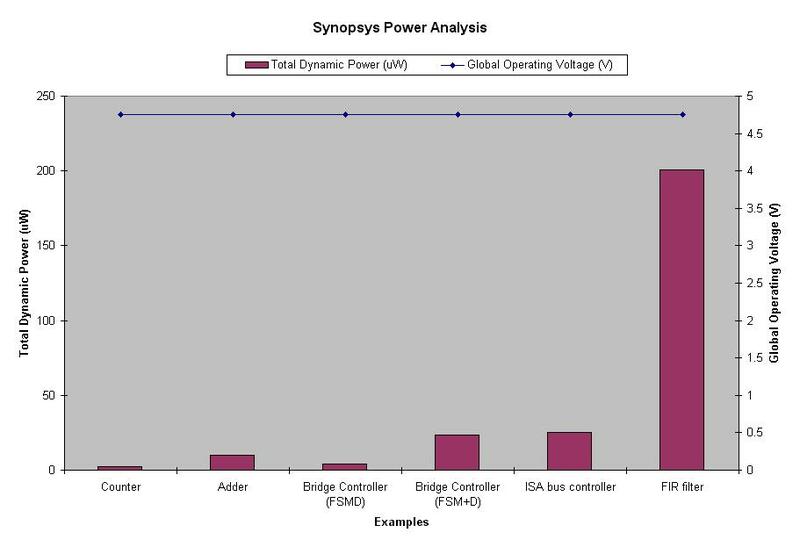 Synopsys power analysis tutorial can be found here. When we design and simulate the high-level (either behavior or RTL) code, we only care about design functionality. 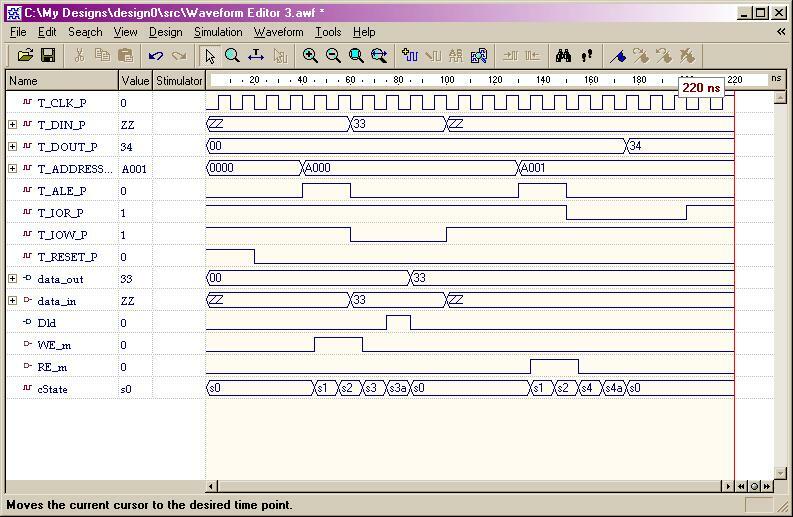 However, in VHDL synthesis, the timing and the functionality of a design must always be considered together. 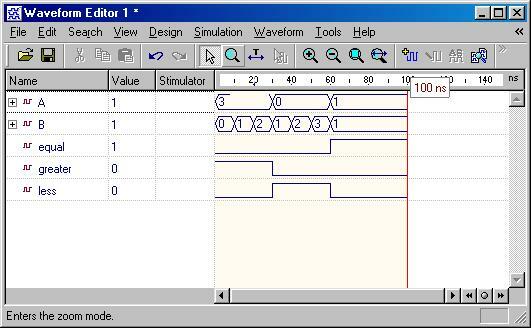 Therefore, once the design has been synthesized, the second goal of simulation is to quickly verify that the gate-level implementation meets timing requirements. We use this idea (coding -> simulation -> synthesis -> simulation) to test all of the examples in this tutorial. 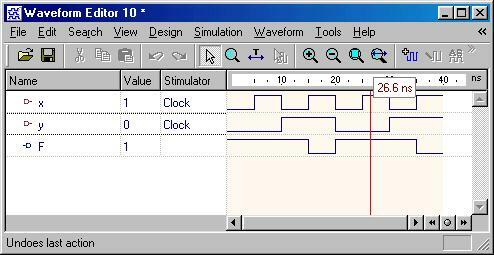 Another common way is to apply the timing constrains on the design during synthesis. then the timing report is checked to see if the slack, which is the required delay minus the actual delay, is MET or VIOLATED. 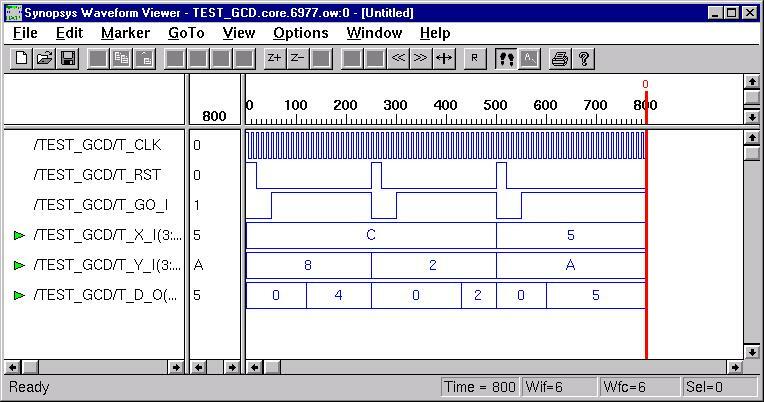 If VIOLATED, we should go back to the VHDL code and re-write it to improve timing. The whole design will be compiled and tested again. 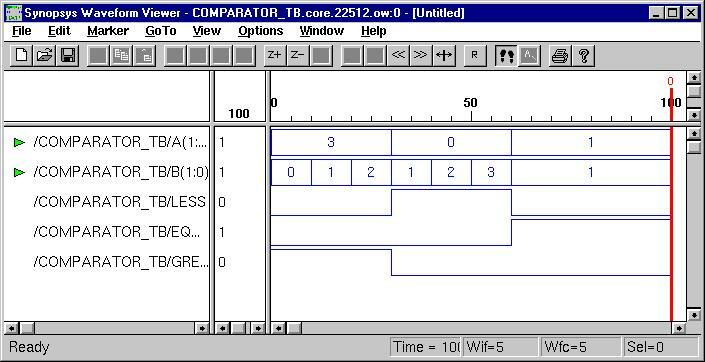 During Synopsys synthesis, ordinary combinational logic will go through several of what are known as mapping optimizations. 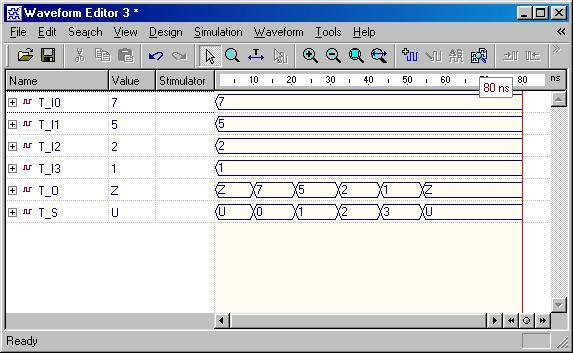 In a normal optimization, the synthesis tool will optimize in relation to the set constrains. It is usual to talk about moving along a "banana curve" on the area and time axes. This means that the tougher the timing constrains, the larger the design will be, and vice versa. 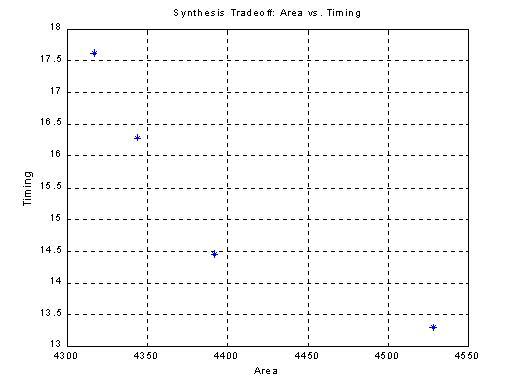 The results from two different synthesis constrains applied on the same design are shown below. 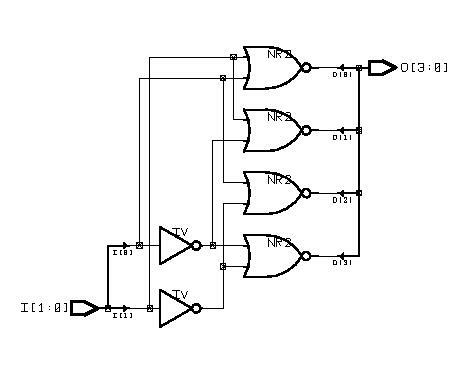 As indicated in the previous part, an Application Specific Integrated Circuit (ASIC) is specified with behavior descriptions which are presented in the form of particular algorithm or flowchart. 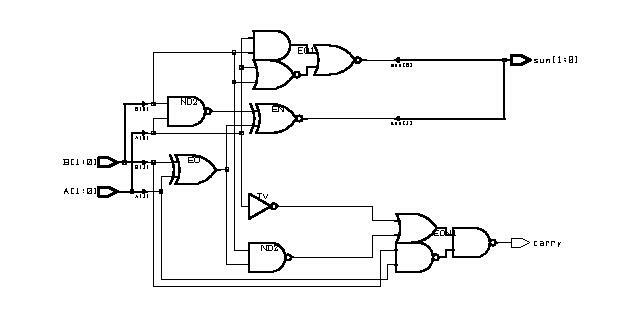 A general purpose processor, on the other hand, is specified completely by its instruction set (IS). 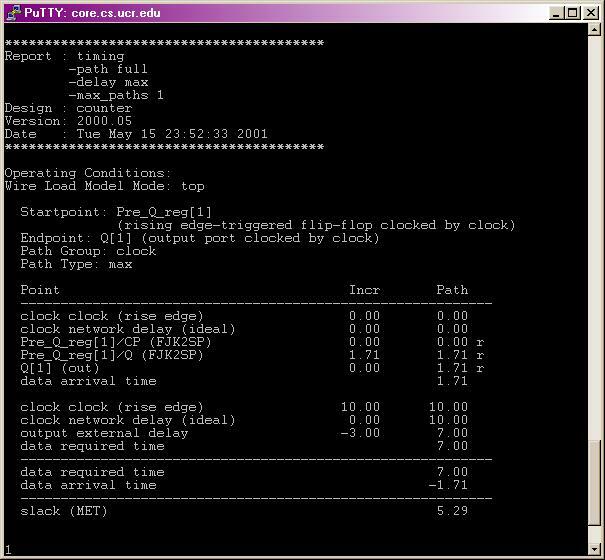 A sequence of instructions is required for the computation of a mathematical expression or any other similar computational task. 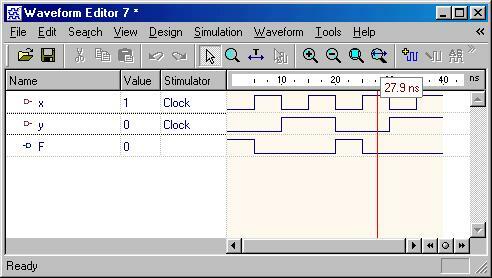 To illustrate the whole procedure, a simple Pseudo-Microprocessor model is used which contains seven instructions (ESD book figure 3.7). 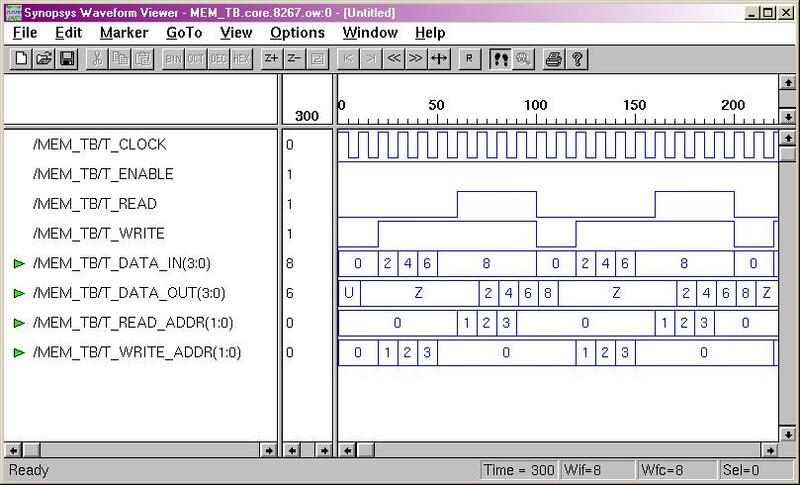 The RT level design method from previous examples is used again to construct this microprocessor. 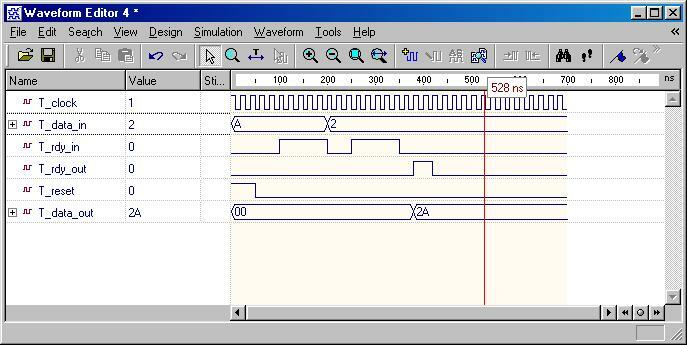 The CPU will fetch, decode, and execute each instruction in order to get the final result. 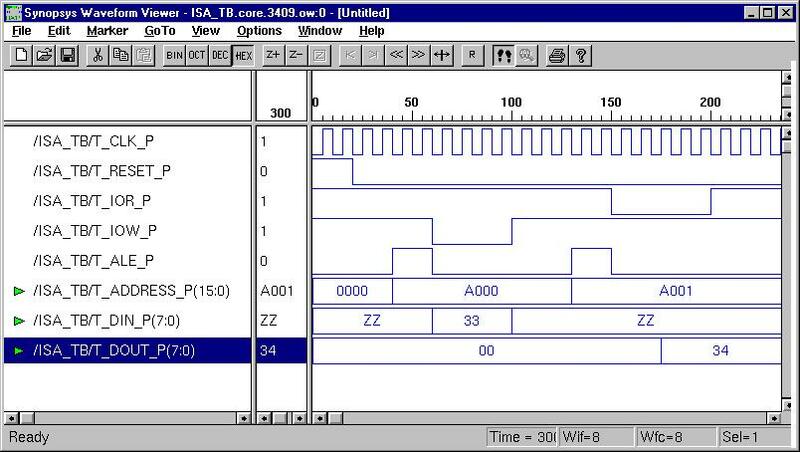 There are now two industry standard hardware description languages, VHDL and Verilog. 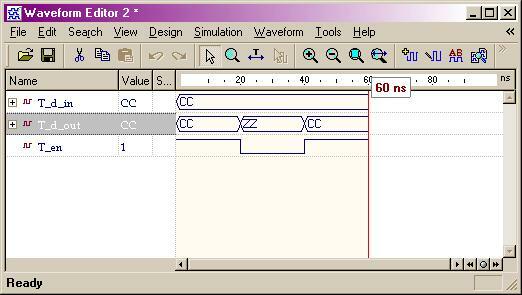 It is important that a designer knows both of them although we are using only VHDL in class. 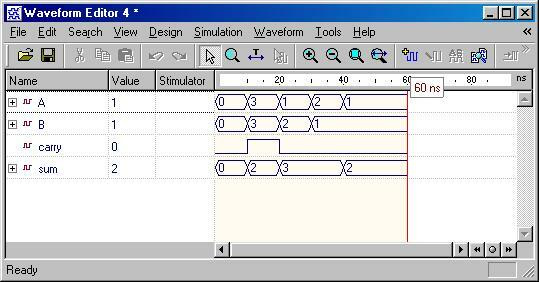 Verilog is easier to understand and use. 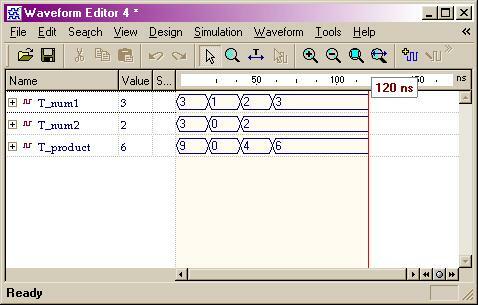 For several years it has been the language of choice for industrial applications that required both simulation and synthesis. It lacks, however, constructs needed for system level specifications. 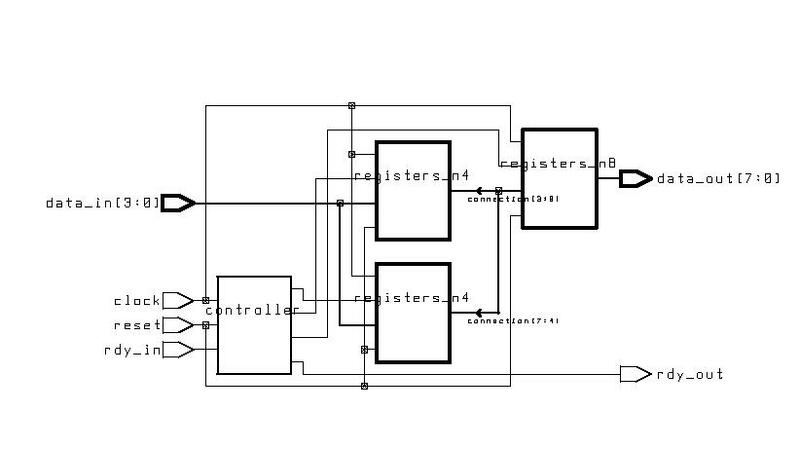 VHDL is more complex, thus difficult to learn and use. However it offers a lot more flexibility of the coding styles and is suitable for handling very complex designs. Here is a great article to explain their difference and tradeoffs.